By Queen. Arranged by Elena Abad. Score. 4 pages. Published by Elena Abad (H0.423437-90690). 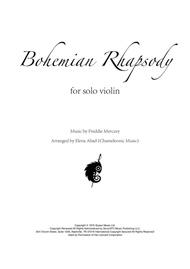 Queen's Bohemian Rhapsody arranged for solo violin by Elena Abad. Duration 7 mins. Suggested bowings on the score! Concerto No.2 in Si Min. 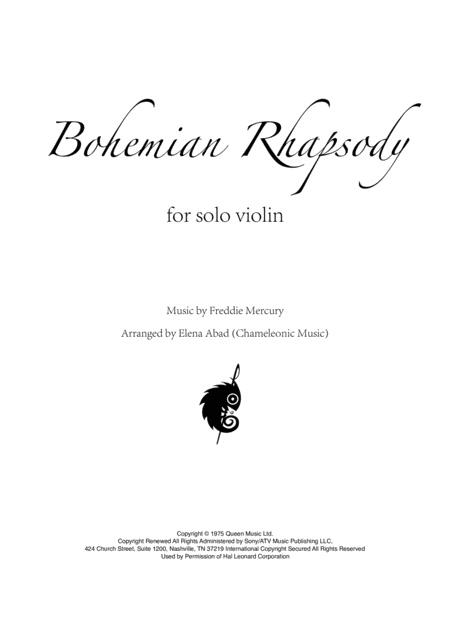 This arrangement is very innovative and uses advanced violin techniques. The best thing is that it can be used for many different purposes from a classical violin recital to a jam session/performance in a bar. Excellent piece for violinists!